Be captivated by the enormous Dragon. 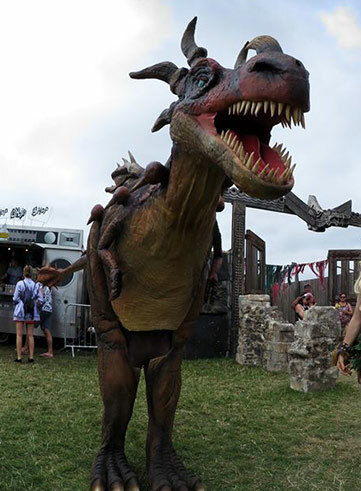 At 3.5 meters long and 2.3 meters high, this animatronic dragon will amaze. He has very realistic movements controlled by a performer inside the costume. He roars as he opens its mouth, his tails swings and his eyes open and close. All adding up to an incredibly high impact walkabout. 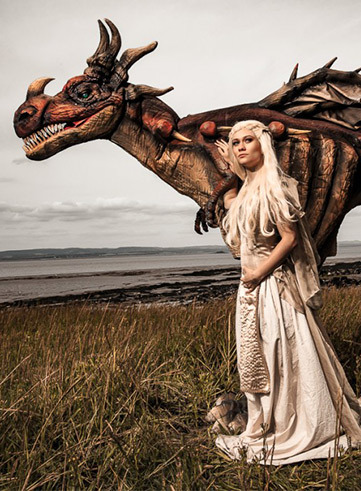 This dragon can be accompanied with our fairies, a Khalessi or our Dragon warriors.